November 8, 2016 April 21, 2017 | Jess G.
Have you tried essential oils yet? They are increasing in popularity and for good reason, they have so many amazing benefits for our body, mind and spirit. Personally I have been incorporating essential oils into my life for the past few years. I use them as aromatherapy for mental well-being and topically for immune support. I love that these little “potions” as my friend Erin calls them are natural and powerful plant derivatives. What is an essential oil, exactly? Essential oils have enhanced lives for thousands of years, offering a variety of benefits from cosmetic and dietary purposes to spiritual and religious use. Essential oils are naturally occurring, volatile aromatic compounds found in the seeds, bark, stems, roots, flowers, and other parts of plants. The oil or “life force” is extracted from the plant at the height of potency through careful steam distillation, resin tapping, and cold pressing. The purest essential oils are far more powerful than the botanical from which they come. You can find essential oils pretty much everywhere nowadays at health food stores, online and even at Bed Bath and Beyond. Essential oils are not well regulated so make sure you choose high quality, therapeutic grade and pure oils if you are going to use them in your home or on your body (I only use Young Living essential oils because they have been the leader in essential oil production for 20+ years and grow their own plants, control harvest and oversee the distillation process). Plus they have lots of awesome proprietary blends like Thieves, Peace + Calming and Stress Away! I don’t believe that essential oils can cure diseases or can replace western medicine, but I do believe in the power of nature and plants and I think these oils can absolutely support the body’s own natural healing process. Just like food is medicine, I think essential oils are along the same lines. By setting the body up for success through detoxification, stress relief, boosted vitamins and immune support- essential oils can benefit the mind and body in so many ways. Peppermint: I used this oil ALL the time when I was pregnant with Keller, its great for rubbing on your tummy and chest when you have heartburn or indigestion (but don’t ask my buddy Nik about this… we kind of over indulged with peppermint when he came to visit! Like I said, these oils are potent and can be super powerful) anyway, I also add a drop to my hot water for indigestion relief. 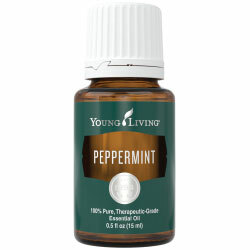 One drop of peppermint essential oil is extremely potent. I also use it to freshen breath by putting one drop under my tongue before leaving the house! Thieves: this oil blend is proprietary to Young Living and is incredibly supportive to the immune system. When the kids are sick or I’m going to the doctor or on a flight I always load up on this oil- I apply it to my wrists and to the bottom of my feet. It has a great cinnamon + spice smell. Thieves is also a great household cleaner as it eliminates 99.9% of bacteria and germs without the nasty chemical smell and residue. I clean the kitchen table with the stuff all the time and let the kids eat right off the table as soon as it drys without feeling nervous that Keller is going to lick bleach off his food. Cedarwood, clove + copaiba: I LOVE the woodsy, fall smell of this combo in my Diffuser. It makes the whole house smell like a cabin in the fresh mountain woods. Orange: Obviously this one is high in Vitamin C so I add a couple drops to my face lotion to brighten skin and encourage cell turnover! 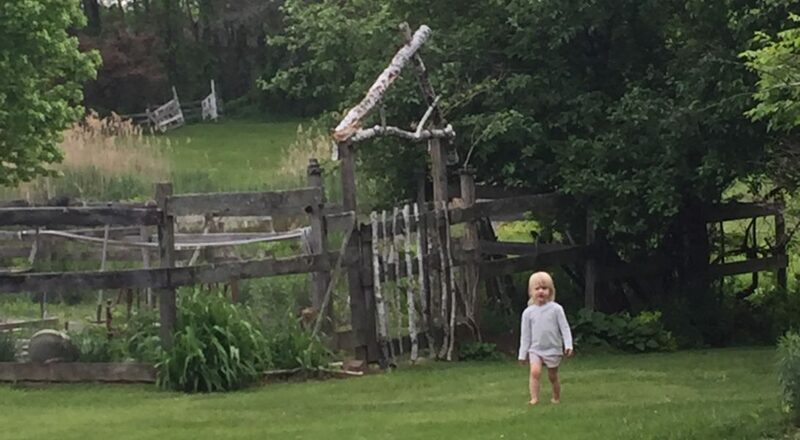 Lavender: this is the most versatile essential oil- it is so good for stress relief and relaxation, Aaron and I have been rubbing this one each others’ necks before bed, I dilute a little with coconut oil to put on the kids feet before bed if they need to settle down, I also diffuse lavender in their rooms. Its great for burns and scars- I have had to use lavender many times while baking since I am a klutz and burn my hands fairly often. 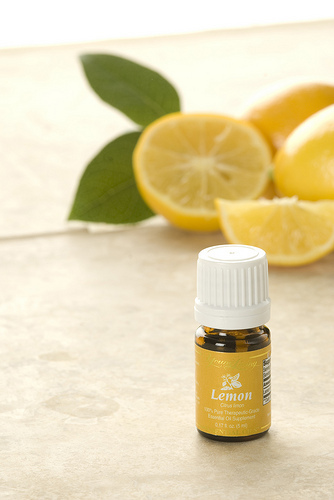 Lemon+ purification: I love these oils. I add purification to my laundry for freshen up Aaron’s gym clothes. Lemon Is great for getting stickers off walls! Its also great for removing annoying price tags from retail stores when they stick them directly on the glass on the front of your new picture frame! I was out of whole lemons so I added a few drops to breakfast scones I baked the other day and it was great! I love oils! If you want to know more about them hit me up…! I am not an expert just a happy user and can give you lots of ideas about how to get started using them. You can read this blogger’s review of 5 different companies that offer essential oils at various price points– she offers a great unbiased list! If you are interested in young living’s oils and if you are like me and want ALL of them, I can hook you up as a wholesale member of Young Living and you can get these oils at a discount… new wholesale members can get a Premium Starter kit (which is an awesome value) and it includes a diffuser and 10 essential oils. Leave your contact info below for more info!!! < Why I’m limiting my meat and dairy intake!